T.C. 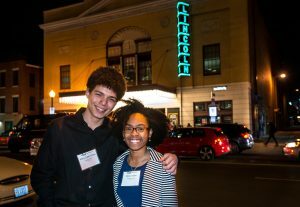 Williams seniors Jefrey Lopez Henao (l) and Denay Taylor (r) were awarded full-tuition college Scholarships during the Posse Foundation ceremony at the Lincoln Theater in D.C. on Wednesday, January 9. ALEXANDRIA, VA — Congratulations to T.C. Williams High School seniors Denay Taylor, recipient of a Posse Foundation Scholarship to Bucknell University, and Jefrey Lopez Henao, recipient of a Posse Foundation Scholarship to Lafayette College. Both students will receive full-tuition, four-year leadership scholarships. This is the first time in school history that twoT.C. students have received Posse Foundation awards in the same year. Both Taylor and Lopez Henao worked with The Scholarship Fund of Alexandria and T.C. Williams counselors and staff to apply for and prepare for the Posse Foundation application and selection process. The students were selected from nearly 20,000 applicants across the country through a highly-selective application and interview process. Once selected, Posse winners are placed in a “posse” of ten students, and together the group is encouraged, mentored, and supported throughout their four years of college and beyond. “We are so incredibly proud of Denay and Jefrey – two exceptionally bright and hard-working Titans. Their success in securing these highly-competitive scholarships is certainly a testament to their hard work, and also to the T.C. staff who work tirelessly to both cultivate learning and support our students in their quest for higher education and future success,” said T.C. Williams Principal Peter Balas. Denay Taylor has lived in Alexandria for 10 years and will be the first generation in her family to pursue a college degree. Denay attended both James Polk and John Adams Elementary Schools as well as Hammond Middle School. She has been a leader at T.C. Williams serving as class president for the Class of 2019, running track for four years and serving as a section leader, playing piccolo, in the Titan Marching Band. She has also helped plan and host the “Dance for All Ages” in Alexandria, a dance held to celebrate Alexandria’s senior population. Denay was relieved to receive the scholarship so that her 3 younger siblings would have greater opportunity to pursue college. She plans to study business at Bucknell next fall. JefreyLopez Henao has been an Alexandria resident for 5 years and will be the first in his family to attend college. Jefrey attended Hammond Middle School and has been active in all things theater at T.C. Williams appearing in drama productions, including the recent production of Noises Off, along with outside productions in the local area. Jefrey plans to study psychology and social work at Lafayette and noted that the Posse process made him have more confidence in himself. He said that Posse saw something in him and that made him see his potential and believe in himself. Both students shared gratitude for the education and the support they have received at T.C. Williams. Both Denay and Jefrey learned about Posse through The Scholarship Fund at T.C. – where they received help and coaching during the Posse process from Scholarship Fund’s Margaret Feldman. Ms. Feldman helped students prepare essays and written applications and ran mock-interviews to help the students prepare for the Posse interviews. This year 10 T.C. Williams students made it to the semi-finals of the Posse selection process. “It has been such an honor to work with these two students – they are so talented and deeply committed to being the first in their families to graduate from college. Their dedication and hard work has really been amazing to watch,” said Margaret Feldman, Director of College Advising with The Scholarship Fund of Alexandria. “The Posse process is long, complex, and highly-selective. Not only did they have to qualify for a Posse scholarship nomination, they also had to go through three rounds of interviews and essays to ‘match’ with a college or university that was prepared to financially support them. Bucknell and Lafayette are truly lucky to have these two Titans,” Feldman added. The Posse Foundation is a national initiative, with chapters in major cities like Atlanta, Boston, Miami, New Orleans, New York City, and Washington, D.C., Posse hopes to make college accessible and inspire diverse leaders. 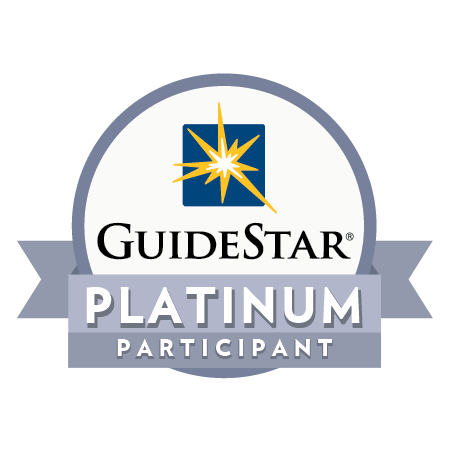 Since 1989, the Posse Foundation has partnered with colleges and universities to award four-year, full-tuition scholarships. Through the Posse model— a system organizing students into supportive, multicultural teams of ten— Posse has enabled their recipients to achieve academic and personal success. This success, which translates to a 90 percent scholar graduation rate, also fosters future innovation. The Scholarship Fund of Alexandria is a 501(c)(3) non-profit that partners with ACPS to help Alexandria City students with financial need achieve their goal college – through college advising programs and college scholarships. Since 1986, the SFA has awarded $14.6 million in aid to help send 4,600 students to college. At SFA, college scholarships really do change lives, forever.